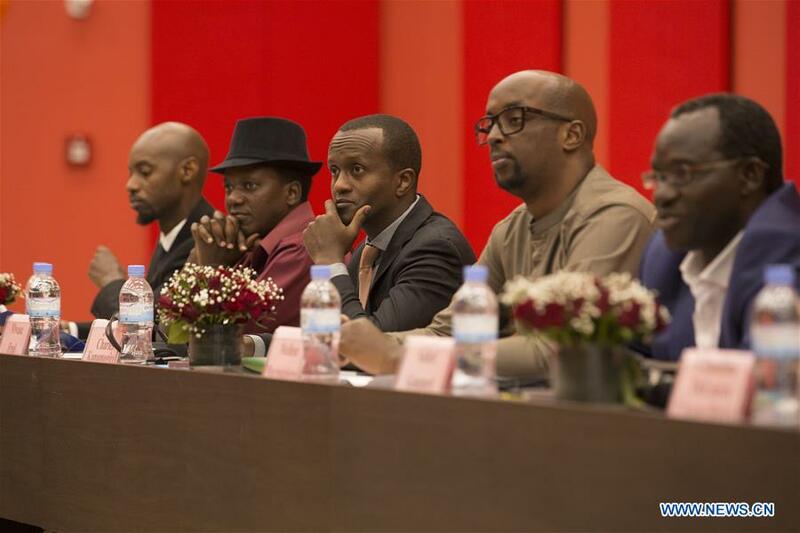 Following the media forum, the "Beautiful Rwanda, Beautiful China" photo exhibition jointly hosted by SCIO, Chinese Embassy in Rwanda and China International Publishing Group kicked off on Friday morning at the University of Rwanda. The exhibition displayed over 80 images of picturesque landscapes and cultural customs of China and Rwanda as well as fruitful achievements of China-Rwanda friendship and China-Africa cooperation. Beijing MW Foundation and China Report Press, subordinates organizations of China International Publishing Group, together with Chinese enterprises held the "Brightness and Books" donation ceremony here, where 500 students from the school received school bags containing solar desk lamps and school supplies. The "Brightness and Books" education assistance program, supported by SCIO, Chinese Embassy in Rwanda and Rwanda's Ministry of Education, will benefit over 2,000 students in Rwanda. Ten Chinese films dubbed into English will be screened in Rwanda during the one-month "Colorful China" film panorama hosted by China Media Group.